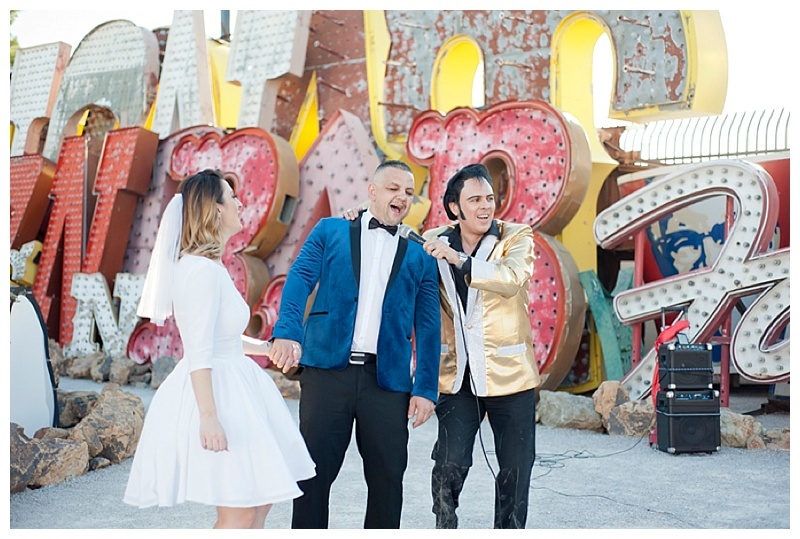 When Elvis officiates your wedding at the iconic Neon Museum in Las Vegas, well, it's pretty much guaranteed to be an epic time! With just 3 of their best friends as witnesses, Ana + Yurdum came all the way from Australia to have an intimate ceremony. 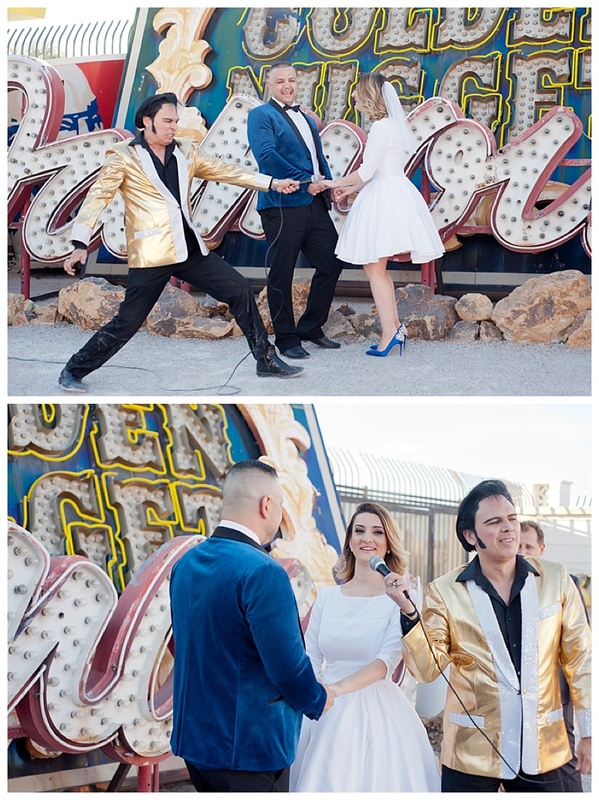 From Yurdum's blue velour jacket to Ana's beautiful blue Badgley Mischka heels and adorable tea-length dress, they pulled off their vintage Vegas theme perfectly. 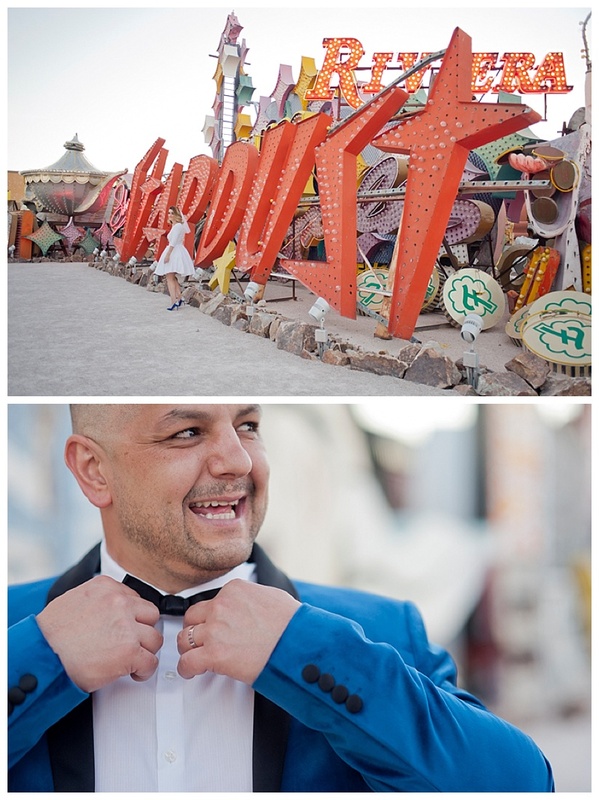 We has such a fun time photographing their ceremony among the signs of the intimate North Gallery and then we headed to the main part of the museum for even more vintage neon signs and gorgeous photos of the newlyweds and their party! 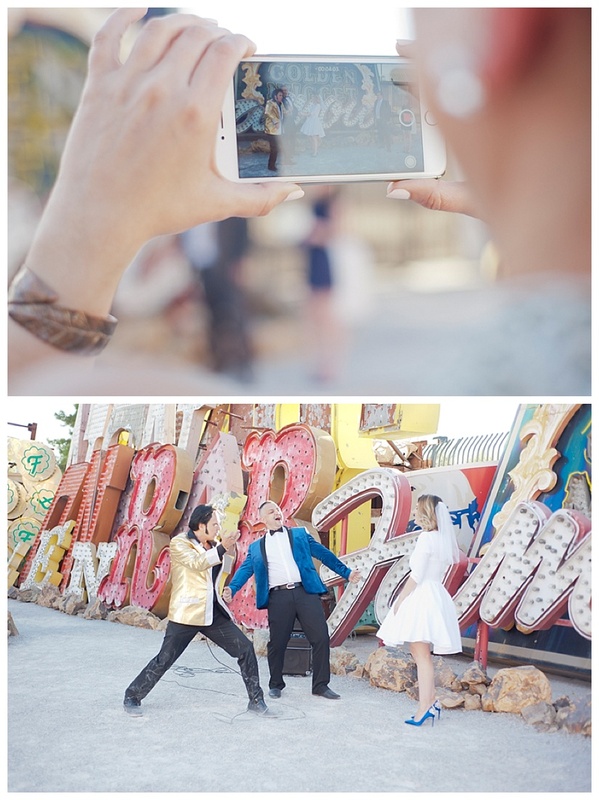 Interested in having us photograph your Las Vegas destination wedding day? Click Here to connect with us!